The internet is a dream for someone with a growth mindset. It is so true, you can learn almost anything from the internet, not because you get a grade, but because you want to! I’ve watched videos on Khan Academy! I never did well in Algebra and I ran from it as far as I could go. Then, one day, I thought, this is stupid. I can learn Algebra, and if you aren’t good in math, so can you! And guess what, you can learn for free on Khan Academy, and not just math either. Plus, there is so much other stuff on the internet, mostly for free. Don’t know how to do something, search YouTube! Don’t know how to take down that big tree in your yard, search YouTube. Don’t know how to write a learning objective, search YouTube. Etc. Etc. Etc. Want to go deeper, sign up for a massive open online course called a MOOC. I am a MOOC junkie! Last month I took a MOOC on Learning to Learn, this month I’m taking a MOOC on digital storytelling. Next month I’m signed up for a MOOC on entrepreneurship. How cools is that! Not swayed by the shinny new thing, the principal measure for inclusion into the report is its pertinence to teaching and learning and creative inquiry in higher education. 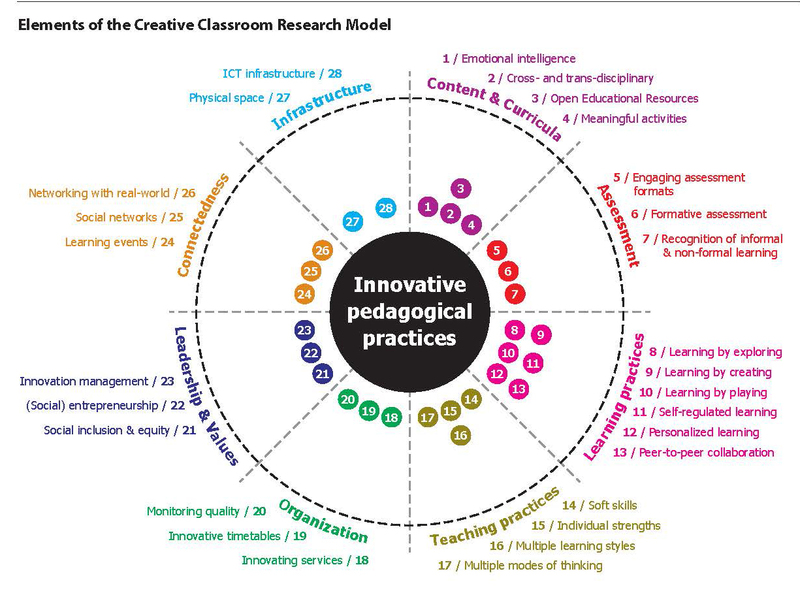 See the innovative pedagogical practices chart below. Plus, social media isn’t just for the young. The largest growth is in the 45+ age group! As an instructional designer, I find the combination of age and ubiquity exciting because most of the learners in post secondary education are working adults. The bottom line is that instructors can integrate social media into their courses without the implications of non technical users…cool beans. Yeah. Need I say more? I knew that adaptive learning software could be used to mine information so that learners comprehension is monitored and instruction is adapted to the learner’s need. I stink at math and Khan Academy leads me down the path to competence and I work my through the levels. I never thought before about the collection of data from learning management systems to improve teaching and learning by tracking trends and student data to help students at risk and to personalize the learning experience. This data also helps academia as a whole as tracking trends may help predict why some some students drop out more than others. I am so happy that students are moving from consumers to creators. I remember in high school, so long ago, that the teacher’s idea of engaging students was to require them to produce a poster or perhaps book cover as part of a project. I can’t draw and felt it was simply busy work. How can drawing a book cover possibly help me remember the content? Today, students as creators means students learn by making rather than as consuming content. Yeah. Hurray. It’s about time. The reason I write this blog is that it helps me learn the content. I have to process the information in this report and tell it in my own words. Yet, it is public; anyone can see it so I am extra careful about word choice (a struggle), spelling, and grammar. If I summarize and internalize the report I am no longer consuming the information, I’m creating something from it. Besides, will we be writing papers in the business world, unless we are education or some areas of business commerce, not likely. But we may have to pitch our ideas to the boss and engage our audiences in a way that an essay can’t do. I realize that writing well is important, very important, but surely there are other ways of expressing ourselves so that every assignment isn’t to read text and then write a paper. infrastructure and teaching practices…. [There is] a growing emphasis on both formal and informal programs that build students’ interests in solving social and global problems, creating products.” (p. 16) Now we are thinking. After students add up this massive amount of debt, they are going to need the skills not only to get a job but to create one! As online learning garners increasing interest among learners, higher education institutions are developing more online courses to both replace and supplement existing courses. According to a study by the Babson Survey Research Group published at the beginning of 2013, more than 6.7 million students, or 32% of total higher education enrollment in the United States, took at least one online course in Fall 2011 — an increase of more than half a million students from the prior year. As such, the design of these online experiences has become paramount. Okay now I’m really excited because as an instructional designer, much of my time is spent developing online courses. And not only is this finding job security for me, it is exciting that in order for this trend to grow, more institutions will equip faculty with the skills and tools to be quality online learning facilitators. What an exciting time for students. I think online courses have the potential to be even better than face-to-face classes because faculty and institutions are beginning to see the value in additional instructional design support. I see an exciting future for learners everywhere. Higher educations is moving, abet ever so slowly, from a Socrates learning environment to an environment of movement and change. is a report on higher education online learning within the US. With help from the College Board, 2,800 colleges’ and universities’ chief academic officers gave their opinion on questions about the nature and extent of online education. I am going to highlight some of the data below that I find interesting. And then I often add my two cents. Online learning consists of courses with at least 80% of the course online. Blended is courses with 30% to 80% of the instruction online, and Face-to-face courses are courses with less than 30% is taught online. Only 2.6% of the institutions have MOOCS and the officers are very diverse on their opinion whether they think MOOCs will be sustainable or not but many believe that MOOCs will give them opportunities to learn about online learning. The interesting thing that the report found was that it is the colleges that offer the most MOOCs are the ones that don’t believe they are sustainable. That’s interesting. Maybe it is because they see the MOOCs as they are presented today are more of a public service. It would be interesting to know.The report did find that it is the two year colleges that believe they “have the ability to scale their online offerings”. 43% think that MOOCs drive students to their institutions. 50% agree that MOOCs are good for students to determine if online instruction will work for them. Oh man. MOOCs are too different from a quality online course to make that judgement. A large number, almost 70%, think that online learning is critical to their long term strategy. I feel bad for the other 30%. Over 6.7 million students are taking at least one course online. This is around 32% of all students. Well the numbers speak for themselves here. 62% of the institutions offer complete online programs. I think it is the way to go, especially for the post-graduate degrees. We work during the day and go to school at night. Only if our program isn’t offered locally, we can still take the classes that are meaningful to us. Yeah. Does it take more Faculty Time and Effort. 44% of public colleges think so but only 24% of for profit colleges think it takes longer. Could it be that the privates have more Tech savvy faculty or have hired instructional designers to build the course? What about learning outcomes? How do they compare to face-to-face (f2f). 77% think online is at least as good as f2f. Perhaps we have learned how to make online better over the years, schools often hire instructional designers to help with the courses. I wonder what the number would be if the students were answering the questions. After all, these figures are perceptions. And, the report notes that the chief academic officers are more positive about these figures than the faculty. Are the Faculty beginning to buy in to Online learning. It’s still low. Only 30 percent believe online learning is a legitimate method for learning. I’m wondering how many of the remaining 70% have been never taken or have taught an online course. What are the barriers to adopting online learning? Many think that students are not as disciplined. Okay. But are students disaplined in the classroom? It depends on the course. When I was in college, I had a professor read from the book. That was his lecture, no kidding. I also had a teacher make history so alive that I was never board. My guess is that the teacher that read from the book would not motivate me in an online class and the teacher that made history so real would find a way to do that online. Online learning is courses with at least 80% of the course online. Blended is courses with 30% to 80% of the instruction online, and Face-to-face courses are courses with less than 30% is taught online. Allen, I. Elaine & Seaman, Jeff. (2013). Changing Course: Ten Years of Tracking Online Education in the United States. Babson Survey Research Group and Quahog Research Group. Social studies teachers are viewed as even further behind than teachers of other disciplines in the area of teaching with technologies. As much of the literature is focused on helping teachers integrate technology in the schools, the two articles below look into technology integration from a professional development point of view. Changing the teacher’s awareness and confidence in technologies were methods the researchers used to help these teachers with technology in the classroom. In the article, Technological Pedagogical Content Knowledge (TPACK) in Action: A Descriptive Study of Secondary Teachers’ Curriculum-Based, Technology-Related Instructional Planning, the authors interviewed seasoned teachers with a goal to discover how TPACK is applied in instructional planning while focusing on content in technology integration. The professional development was developed around several, specific learning activities in social studies from which the teachers could choose. Content activities was chosen over learning activities. “Because teachers’ planning is conceptualized around content goals and organized according to learning activities, technology integration methods should be similarly focused” (Harris & Hoffer, 2011, p. 214). In fact, before and after the workshop the teachers planned their activities according to content. The teachers also chose activities according to estimated time in the classroom for the activities as well as on standards the activity matched. These teachers felt technology was a way to increase content and saw the use of the tools as a means for them to do a better job of teaching the content rather than using a new learning theory. With this in mind, the teachers still found new technologies from which to choose and became aware of better ways for technology integration and became more conscious of a broader range of activities using technology. The authors note that content activities are not a way to “revolutionize” teaching via technology, but can still be effective for student learning. The study found that the more the teachers know, the more they will use technology in their curriculum, noting that “Many educators are simply not aware of the full range of different curriculum-based learning activities, projects, and approaches that they can use with the help of different educational technologies.” (Harris & Hoffer, 2011, p. 227). Again focusing on experienced teachers, the authors of the article, Social Studies Instruction: Changing Teacher Confidence in Classrooms Enhanced by Technology, interviewed seasoned teachers before and after a three part workshop for grades K-12 on using technology in the social studies classroom. As in other literature, it is noted that “adoption is not just about convincing them of the advantages of a technology. It must also be about training, education, and encouraging faculty to have the necessary skills and confidence in the uses of educational technologies” (Shriner, Clark, Nail, Schlee, & Libler, 2010, p. 38). Therefore, the workshop focused on three specific workshops: 1) virtual field trips, 2) using various resources and approaches for social studies instruction, 3) and using resources and approaches for geography and the history of the world. As a result of the workshops, participants were more confident in their ability to incorporate technology into meaningful lesson plans and felt more confident in making connections between the textbook, the student, and the content. The authors note that the teachers go to the workshops to expand their knowledge and skills. Although the teachers previously had the ability to use various web technologies, without the practice the workshop afforded, they would not have known how to begin. After the workshop, the teachers changed their perceptions and their confidence to use the technologies in the classroom. Both of the articles, above, were research articles on short, activity based, professional development for experienced social studies teachers. Although the first article focused on instructional planning and the other article focused on beliefs, the authors from both articles were encouraged with the results of the workshops. (The TPACK article called for more research, however.) Teachers understood that technology was a tool, not a end result yet were excited about learning how the tool could help them in their classrooms. It is interesting that both studies had specific activities planned but the teachers in both articles were able to expand on these activities. And in each case, the authors believed that the teachers in the studies would use technologies for teaching and learning. Harris, J. B., & Hofer, M. J. (2011). Technological pedagogical content knowledge (TPACK) in action: A descriptive study of secondary teachers’ curriculum-based, technology-related instructional planning. Journal of Research on Technology in Education, 43(3), 211–229. Teachers normally use linear methods to teach and disregard computers, and hold on to teacher centered teaching rather than student centered learning. According to the authors a major cause of this “disappointment” is because of teacher personal beliefs and theories about education. As teacher’s beliefs determine how and why teacher’s adopt new methods, the authors postulate that it is important to investigate teacher’s beliefs. Makes sense. With that in mind, at the beginning of the course, should I find out what teacher’s beliefs regarding technology are? Should I assume because they are taking the course that they see the value of the classroom? I do I be sure? Readings? Discussions? PBL activities? Debate? The authors note that teachers who teach using constructivism are more likely to have student centered classrooms. It is the student centered classrooms where technology becomes the powerful tool. So student-educators knowing constructivism should not be assumed in my course. And the ability to effectively use constructivism should be a learning goal. I thought it was interesting that the article also noted that it is often difficult for teachers to implement the changes that is required to infuse technologies in the classroom. That is where I am hoping my course will help. It’s a beginning, already set up by the time the course is finished. So hopefully, its maintenance after the teacher goes to or back to the classroom. Levin, T. (2006). Teachers ’ beliefs and practices in technology-based classrooms : A developmental view. Journal of Research on Technology in Education, 39(2), 157-181. Becker, H. J. (1994). HOW EXEMPLARY COMPUTER-USING TEACHERS DIFFER FROM OTHER TEACHERS : IMPLICATIONS FOR REALIZING THE POTENTIAL. Journal of Research on Computing in Education, 26(3), 1-35. Ertmer, P. A., Gopalakrishnan, S., & Ross, E. M. (2001). Technology-Using Teachers Comparing Perceptions of Exemplary Technology Use to Best Practice. Journal of Research on Computing in Education, 33(5), 1-26. Professional development of novice teacher educators: professional self, interpersonal relations and teaching skills. 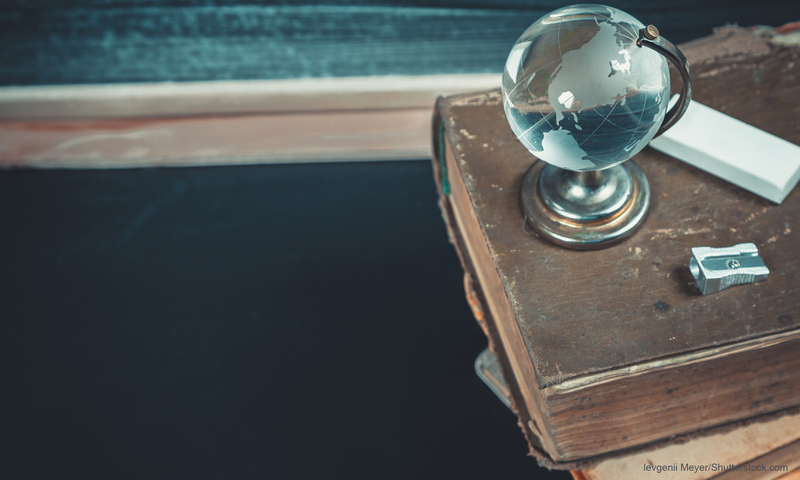 This article notes that teachers that educate teachers should be experts in their field. The article contends that it is more important to note what teachers of teachers know than that of the teachers themselves. The reason given is because this knowledge is imparted to new teachers and so on. Therefore, the teacher educator must develop his professional identity with training and lifelong learning. The author notes that although there are teacher educational institutions that provide development courses for teacher educators, these courses are brief and take place before the teacher educator begins teaching. (whew!) This article describes a research project on an one year model for the professional development of new teacher educators. It was found that teachers preferred to learn while they worked because it gave them opportunities to integrate what they learned in their jobs. Also they felt that their colleagues as a support group during this process. Lastly, they felt that being a part of the program help them find their identities as teacher educators. Smolin, L., & Lawless, K. A. (2011). Evaluation across contexts: Evaluating the impact of technology integration professional development partnerships. Journal of Digital Learning in Digital Education, 27(3), 92-98. In this article, the authors explore the “possibilities for collaborative evaluation of technology integration professional development (TIPD) to transform technology practices in schools” (Smolin & Lawless, 2011, p 92). The article evaluates three specific models of professional development—Developmental Evaluation, Responsive Evaluation, and Layered Research. The articles examines key issues associated with implementing the models and analyze how the models can , “strengthen and sustain professional development partnerships” (Smolin & Lawless, 2011, p 92). The article briefly describes two current evaluation models. The first model is by Lawless and Pellegrino who propose a three phase evaluation model, evaluated in sequence: the 1) professional development program, 2) teacher outcomes, 3) teacher change and student achievement. The second model is from Desimone who’s model is similar to Lawless and Pellegrino except Desimone proposes a model where the evaluations are repeated indefinitely. The authors believe both of the above models are incomplete because they don’t take into consideration all the stakeholders involved and the relationships between the stakeholders. Smolin and Lawless feel that these models should include and foster long term partnerships between all of stakeholders. Stakeholders would include the group that funds the technology, the universities that teach the technology, and the teachers that ultimately teach the technology. If there isn’t a partnership between the stakeholders then the changes from any of the three stakeholders is short-term. Teachers have difficulty sustaining the transformative practices they learn in professional development without ongoing support and mentorship. As such, their potential for affecting their students’ learning, as well as their mentorship of new teachers, is difficult to achieve. Higher education partners lose an important laboratory of innovation as well as placements for their students. When success cannot be sustained long-term, funders are hesitant to continue their support. As a result, teaching and learning may revert back to the status quo (p 93). The partnership of the three stakeholders will facilitate questions such as how research should be gathered and who should evaluate the results, providing feedback that all the stakeholders can use. This will result in a shared vision and build long term relationships creating an impact on professional development. The authors look at three models that are designed to approach professional development as a collaborative approach. The first model is the Developmental Evaluation. In this model goals and outcomes are not predetermined but are revealed through the learning process and the evaluator is part of the program design team. Stakeholders are co-designers in this model. The second model is the Responsive Evaluation model and this model emphasizes collaboration. Recursive observations and interviews as well as document analysis are the focus of Responsive Evaluation. Stakeholders are co-designers of the professional development. The third model is called Layered Research. Also a collaborative model, Layered Research focuses the relationship of the stakeholders on developing new knowledge. This is done by all the stakeholders being involved in the research. All three models, Developmental Evaluation, Responsive Evaluation, and Layered Research shift the focus from traditional forms of professional development to an approach which calls for all the partners to include all stakeholders perspectives which fosters success. Because all partners work together, results are available during the course of the professional development rather than waiting for yearly testing. As a test study the authors implemented a professional development program integrated with the group that funds the technology, the universities that teach the technology, and the teachers that ultimately teach the technology. Even though the authors learned that the teachers learned more and the lessons were improved, and although the PD was collaborative, the research itself wasn’t complete because they used “limited perspectives to guide the evaluation…and four years later the relationships weren’t sustained” (p.96) The authors attribute the missing research on insufficient funding. Desimone, L. M. (2009). Improving impact studies of teachers’ professional development: Toward better conceptualizations and measures. Educational Researcher, 38, 181–199. technology into teaching and learning: Knowns, unknowns, and ways to pursue better questions and answers. Review of Educational Research, 77(4), 575–614. Martin, W., Strother, S., Beglau, M., Bates, L., Reitzes, T., & Culp, K. M. (2010). Connecting instructional technology professional development to teacher and student outcomes. Journal of Research on Technology in Education, 43(1), 53-74. This article is about a program evaluation study, and not an academic research study. The Educational Development Center, Inc was contracted by the University of Missouri to conduct an external evaluation of a professional development program called eMints. The purpose of this research was to study the impact of the eMints professional development program on student outcomes. The majority of the PD sessions are designed to link technology and new pedagogy directly to classroom applications. To accomplish this, time is given to participants to create and prepare lesson plans for classroom use. To collect teacher and student outcomes, lesson plans were evaluated and student samples were submitted. The study found that the amount of time participants spent with the instructional specialists was directly related to the quality of the lesson plans. Also the study found that lesson plan quality was associated with better student achievement. And even though some studies show no that technologies do not necessarily improve learning, this study showed that lesson plans including technology had the most improvement in student achievement. Some of the limitations of the study was that there wasn’t enough funding to observe the participants in classroom instruction, small sample size, and amount of data collected. However “despite those limitations” the study provided “evidence instructional technology professional development an have a positive impact on teachers and students.” (p.71). Basically to have an impact on students, professional development needs to have an impact on teachers. But to do that takes a considerable amount of time, coaching, and a connection to application and practice of the materials, all aligned with the teacher’s belief system. Beyond the date of the requirements on this paper was an article dated in 2008. These teachers did not have this much help and support. But the bottom line is in both cases teachers who spent the effort trying to improve their classes did. Although the author did not design the concept of one-minute-papers, Gale Lucas uses the one-minute-paper to personalize the relationship with her students as well as to discover what the students bring away from her classes. This is how the one minute paper works. After a class or lecture, students take a couple of minutes to answer questions from the professor such as, “What did your learn?” and “What remains unanswered?” While some professors only comment on answers and answer questions to the class as a whole, Lucas proposes in this article to e-mail each student individually and answer or comment on the what the student had to say. By e-mailing the students individually, Lucas found that one-minute-papers were helpful to initiate contact with her students. She begins her e-mail by explaining that she wants to personally respond and then does so. Many students like getting responses and feel that Lucas cares about their “own personal learning and greatly appreciate such concern.” (p.40). This direct contact with her students additionally benefits students who speak up less in class. Students reported that getting these responses from their professor helped their learning. It also helps the teacher monitor what they have taught to see if it is effective. Nie, M., Cashmore, A., & Cane, C. (2008) The educational value of student generated podcasts. Paper, ALT-C 2008 Research Proceedings pp. 15-26. Student-generated podcasts help students learn through reflection and analyzing ideas and expressing these ideas in a professional oral presentation. If worked in teams, podcasting offers the potential for collaborative learning, and shared ownership of ideas and reflection. Students in this study found that student-generated podcasts as a means to disseminate and generate knowledge. Podcasts enhanced their understanding of the topic. Because the students needed to research their topic in order to produce the podcast, their knowledge was expanded on the chosen topic and new information linked to their previous knowledge. As the podcast would be published, students felt pushed to do more research, especially current research. The research required them to link more of their knowledge and to disseminate the information so that non specialists would understand the content. Students also found podcast creation, motivating, interesting, and were appreciative of learning a new technical skill. In addition, the learners who listened to the podcasts, were interested in the podcasts generated by their peers, found the podcasts engaging and motivating, and expressed interest in listening to peer instruction for more of their coursework.